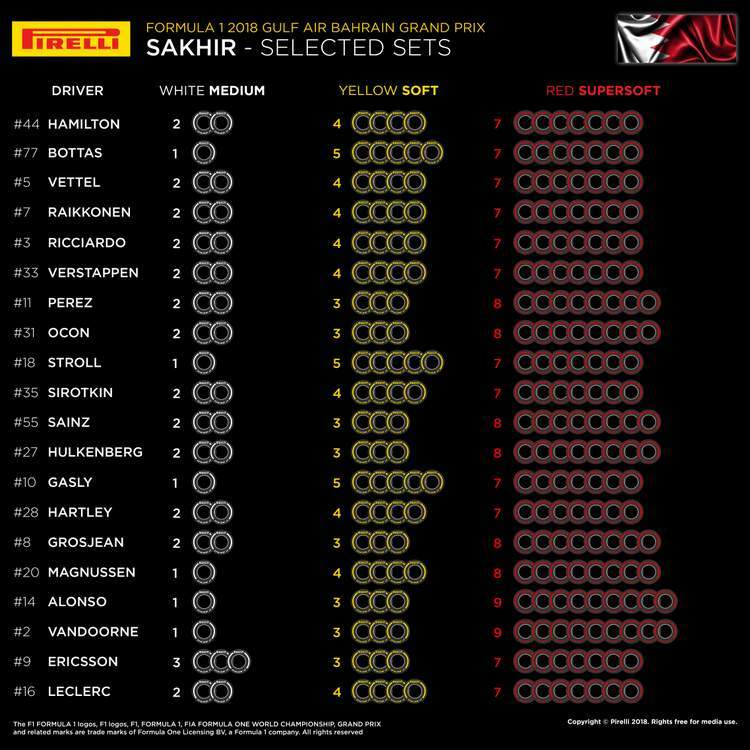 Formula One’s sole tyre supplier Pirelli have released the tyre allocations for the Bahrain Grand Prix. The three leading teams, Ferrari, Mercedes and Red Bull have similar tyre selection for the second round of the 2018 World Championship. 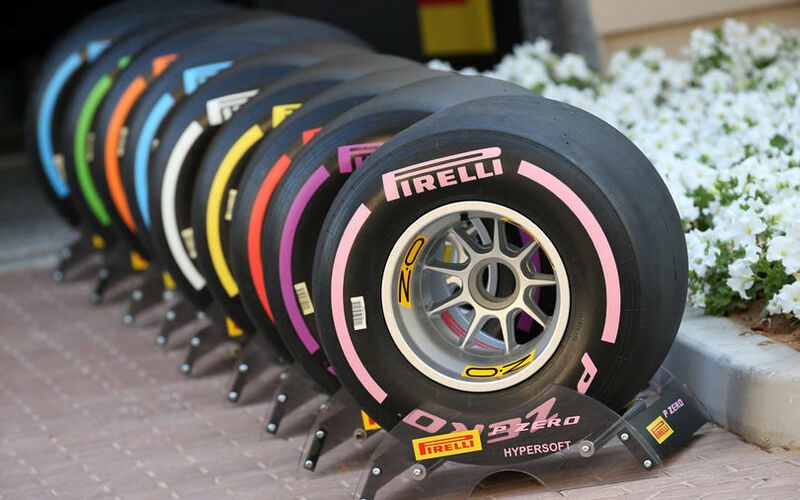 Drivers will have access to the medium, soft and supersoft compounds in Bahrain as Pirelli goes one step harder for the Bahrain International Circuit which usually poses a bigger challenge to tyres than the season-opening Melbourne street track. Mercedes driver Lewis Hamilton, the Red Bull duo of Daniel Riccardio and Max Verstappen and Ferrari pairing of Kimi Räikkönen and Sebastian Vettel have identical choices of compounds. Of the six drivers in the top three teams, only Valtteri Bottas differed slightly in his pick by sacrificing one set of mediums for an additional set of softs. McLaren has made the most aggressive tyre choice among the 10 Formula 1 teams for the upcoming race weekend. Both Fernando Alonso and Stoffel Vandoorne have committed to nine sets of the supersoft compound. The most conservative choice is the one of Sauber-Alfa Romeo’s Marcus Ericsson who selected three sets of the most durable medium compound. Midfield drivers are in between the most aggressive and most conservative choices. Different tyre selection usually do not have any big effect on the outcome of a race weekend, as drivers tend to even out their selection, using more sets of their compounds which stand out in the first two practice sessions.